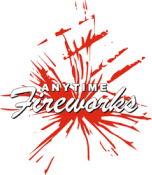 We supply and use only quality fireworks renown for their reliability and safety – which is out first priority. All our products sold have been rigorously tested and comply with British Standard Code of Practice for Fireworks (BS7114, Part 2). Whether your display is to be fired by our own trained operators or yourself, together with friends and family, it is important to be aware of safety. We undertake a Risk Assessment of the site to be used for all our own displays. It is important to keep well clear of buildings and make sure there are no overhead obstructions. Remember that weather conditions affect the safety of fireworks. It is especially important to fire away from spectators, and with the prevailing wind. It is also necessary to have an adequate fall-out area available within your site, away from spectators, as debris from rocket sticks and other debris fall to the ground after firing. The area designated for spectators must be clearly marked; ideally roped off and marshalled, making sure that there is plenty of room. Examine your fireworks well in advance of your display. Decide who will be responsible for letting off which fireworks, and ensure each label is read carefully. On the day, set up the fireworks in plenty of time, putting in stakes where required, and protect from rain where necessary. Please also inform those who own nearby land. Be especially careful to tell those who may be upset by your display – the elderly, farmers, hospitals etc. For larger private displays the police must be notified – they merely need to know. For public events, the fire brigade and police should be notified, and the coastguard and airport authorities if appropriate. After the display the site must be cleared of debris and checked for any fireworks that have failed to go off. These should be carefully submerged in water – never put onto a bonfire. ALL FIREWORKS ARE POTENTIALLY DANGEROUS IT IS YOUR RESPONSIBILITY WHEN UNDERTAKING A DIY DISPLAY USING OUR RETAIL PRODUCTS TO ENSURE SAFE USE OF FIREWORKS IN ACCORDANCE WITH THE INSTRUCTIONS. A SAFETY BROCHURE IS AVAILABLE, PLEASE CONTACT US SHOULD YOU HAVE ANY QUESTIONS.